The four-day run of Comic-Con International wraps up Sunday at the San Diego Convention Center after attracting famous filmmakers, a large number of actors and actresses, and 126,000 attendees. 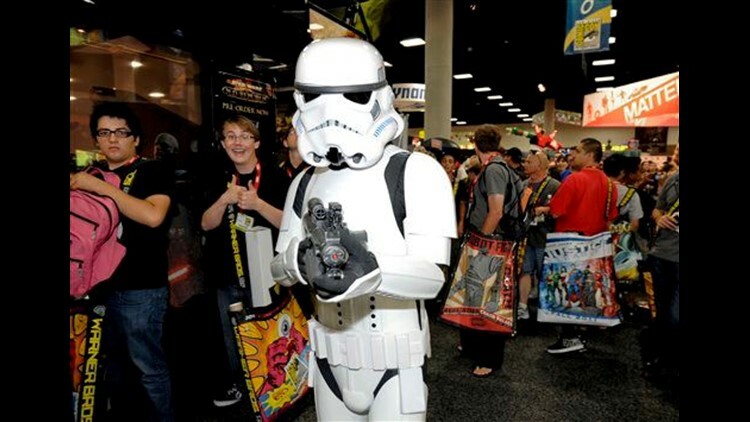 SAN DIEGO (CNS) - The four-day run of Comic-Con International wraps up Sunday at the San Diego Convention Center after attracting famous filmmakers, a large number of actors and actresses, and 126,000 attendees. Among the final day highlights are a look at the early works of Muppets creator Jim Henson, the eighth annual San Diego International Children's Film Festival, and panels on the BBC series "Dr. Who," the television show "Glee!" and the latest trends in young adult fiction. The event began as a modest comic book fair in 1970 and has since grown into a premier pop culture extravaganza big enough to consider moving to larger facilities in Los Angeles and Anaheim. Organizers eventually decided to remain in San Diego until at least 2015. According to the San Diego Convention and Visitor's Bureau, the event has a total economic impact in the region of $162.8 million annually and generates $2.8 million in tax revenues. Hollywood has latched onto Comic-Con as a marketing tool, and two films had their world premiere in San Diego this week, "Cowboys & Aliens" and "Captain America: The First Avenger."